Did you know it's National Quilting Day? Yep! So here are a few quilted lovelies for you. 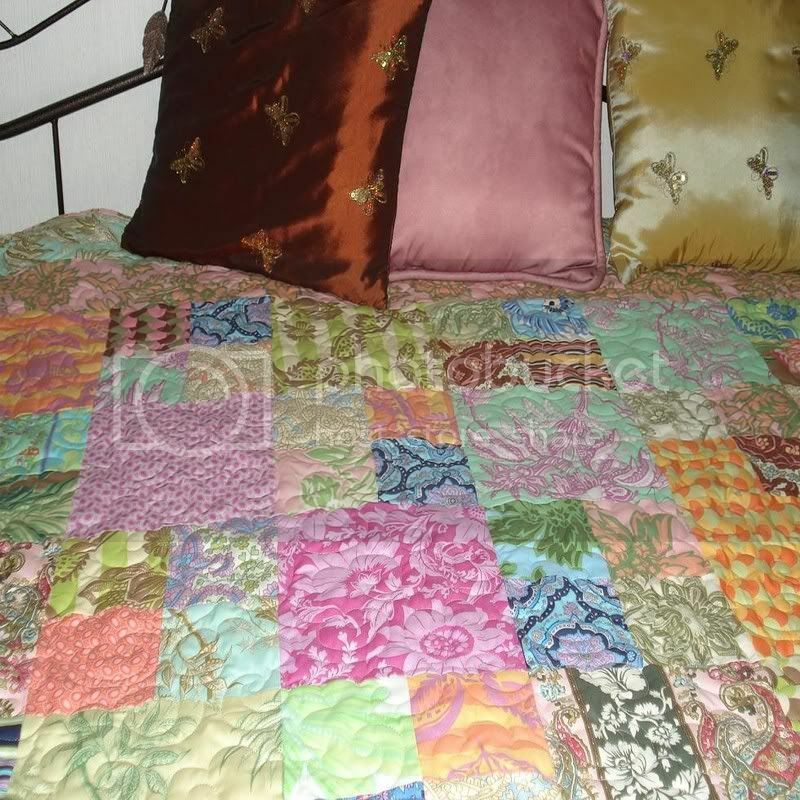 This gorgeous quilt by QuiltLover, made with Amy Butler Free Spirit fabrics will brighten any room! Gorgeous! 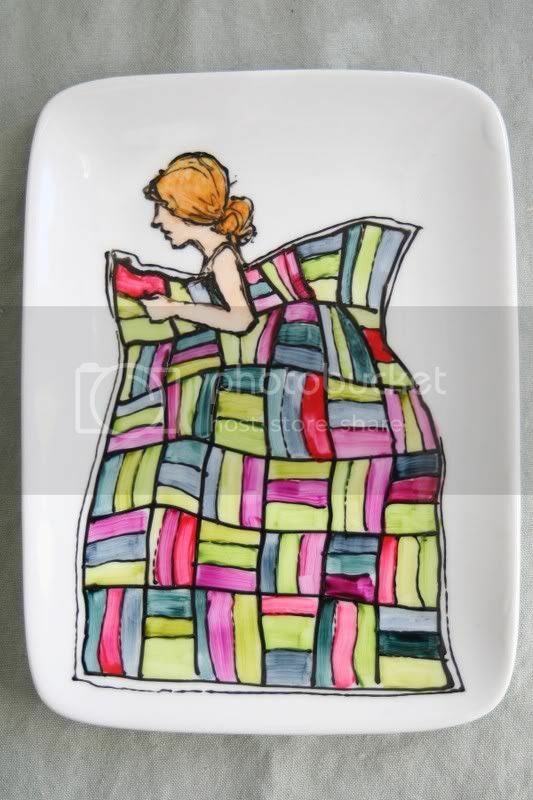 A little more subtle aproach to the beloved quilt is this painted plate by AuntJune. Too cute! 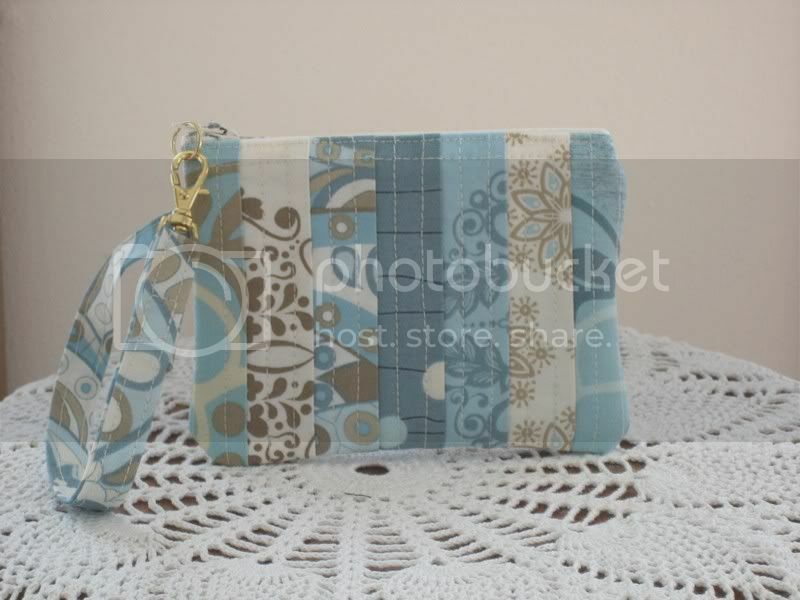 Or to carry you quilt with you daily, check out this wristlet by AntiqueBasketLady. It's great for credit cards, your ipod, cell phone and lots of other itty bitty goodies. Adorable! Happy Quilting Day! Quilters, keep up the great work. LOVE it! Quiltlover's work is absolutely georgeous!!! She is one of the best!! How about a meme? I was inspired by Jen of Olivespearls. List 14, and then tag five others. Check out my blog for what I mean. What a great blog! Thanks for checking out mine. I love your photos! That first quilt is exquisite! Quilted stuff is so cool. This makes me want to rip up old fabric and get to quilting! Absolutly wonderful! Thank you so much for including me in your tribute. Your blog is awesome. Thank you Woolies for your vote of confidence, it means a lot. Thanks you all for your compliments. You are what makes the world go round. What A Blog, It's Very Good Blog. How much Time take for making This Blog. Love, love, love the Amy Butler fabrics - what a beautiful quilt! Fantatic quilt! I so love those colors on the quilt. Good post! That wristlet is just awesome!